Minnesota is one of a few states that still have not adopted licensing requirements for home inspectors. In states that have licensing requirements for home inspectors, real estate agents and your clients just want to see that you are licensed. In states like Minnesota that do not have licensing requirements, real estate agents and your clients will want to see that you have been trained and certified in home inspection. That is where our program can help. Got more questions? Read on for more information about Minnesota home inspection courses. As soon as you complete our online home inspection course, you become a certified home inspector. Upon completion of the course, we mail out your home inspection certification and issue you your certification number. That number is what you will want to put on your business cards and home inspection reports. At that point, you’re ready to go in Minnesota! Does a home inspector need to get on the roof of the home during the inspection? No. Home inspectors should not go on the roof of the home. Per current home inspection standards of practice, the proper way to inspect a roof is to stand back and use binoculars. A few home inspectors have even started using small drones to inspect a roof, but that is not very common yet. Over ninety percent of home inspectors use the binocular technique for inspecting the roof of a home. The average annual salary for a home inspector in Minnesota is approximately $73,000 per year. The average fee for a home inspection in Minnesota is $370. The amount you charge for any given home inspection will vary based on age and square footage of the home. As part of our course, we teach you how to calculate a proper home inspection fee. 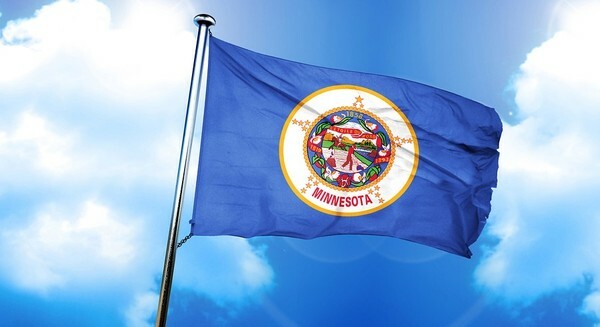 Does Minnesota require continuing education for home inspectors? No. Continuing education is not required for home inspectors in Minnesota. Yes. We mail out your home inspection certification to you upon completion of our online course. We also mail out a laminated copy of your credentials that you can carry in your wallet. Does the online home inspection course for Minnesota have a time limit? Yes, we include our mold and radon certification courses free of charge to students who enroll in our online home inspection course for Minnesota. Yes. We provide you with a list of tools needed. The total cost of the tools, including your moisture meter and combustible gas detector, comes out to about $200. There is no state exam for home inspectors in Minnesota. Do you send my certificate to the MN home inspection board? There is no home inspection board in Minnesota. Yes. You’ll be certified for both residential inspection and commercial inspection. On the commercial side of things, we train you to the ASTM standards. What if I have questions during the home inspection course? We have full support for all students and graduates, both during and after the course. Even if you have questions when you are on a home inspection, we can assist via email, text, or phone. Absolutely not. We train students from all different backgrounds to be successful home inspectors. Although a contractor background can be beneficial, it is by no means necessary to become a home inspector in Minnesota or any other state. It doesn’t matter whether you want to become a home inspector in Minneapolis, Saint Paul, Duluth, Rochester, St. Cloud or Mankato; our online home inspection course can be completed from anywhere. What are you waiting for? Enroll now and start your career as a home inspector in Minnesota!